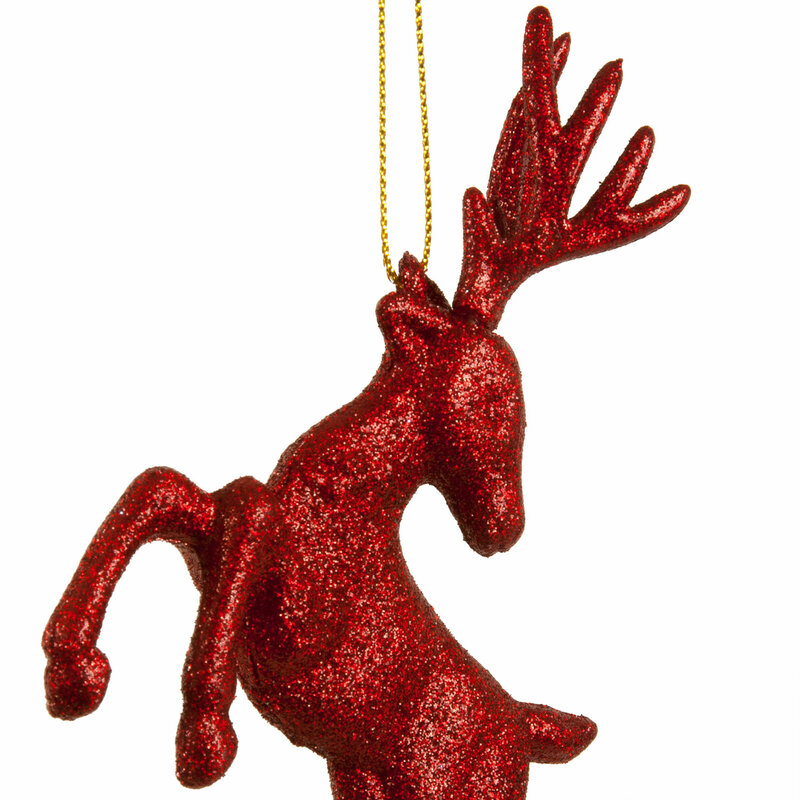 A glittery red pair of hanging reindeer decorations for Christmas. These prancing ornaments are perfect for the festive tree or simply around your home. 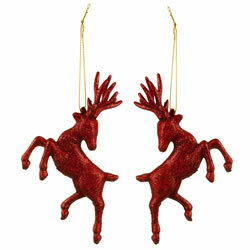 Each comes on a line hanger and hangs at 10cm long x 10cm wide. Ideal for a traditional style.